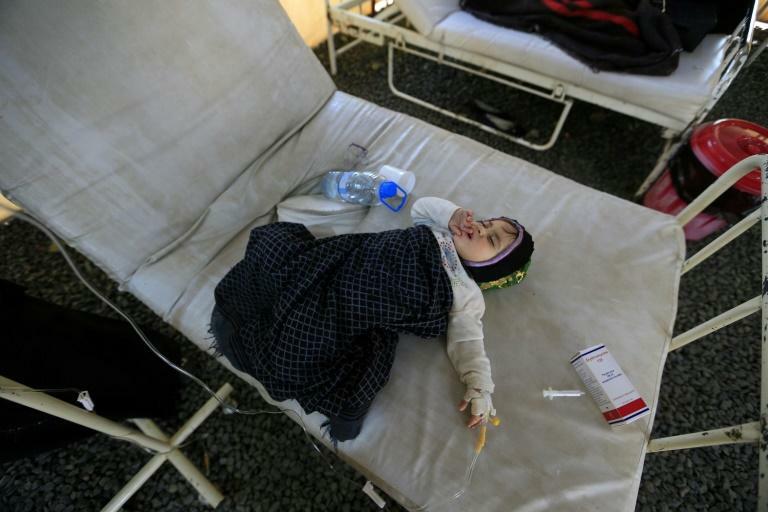 Some 12 million Yemenis could soon be on the brink of famine if the security and economic situation in the war-ravaged country does not improve, the UN warned Tuesday. "Yemen is currently facing the world's worst hunger crisis, with almost 18 million people throughout the country not knowing where their next meal is coming from," World Food Programme (WFP) spokesman Herve Verhoosel told reporters in Geneva. Over eight million people are already considered to be on the brink of famine in Yemen, he said, adding that the situation was being exacerbated by sky-rocketing food prices, which have soared by a third in the past year alone. "If the situation persists, we could see an additional 3.5 million severely food insecure Yemenis, or nearly 12 million in total, who urgently require regular food assistance to prevent them from slipping into famine-like conditions," he warned. This means the UN agency will need more funding, Verhoosel told AFP, pointing out that "the more people (who need help), the more money is needed". But he lamented that due to the dire security situation in the port city of Hodeida, the UN agency still did not have access to some 51,000 tonnes of wheat stocks at its Red Sea Mills facility there, which would be enough to feed 3.7 million people for a month. "We are doing everything we can to ensure access to these wheat stocks," Verhoosel said. Yemen's air, land and sea ports are currently functioning, so WFP had several ships filled with aid headed towards Yemen, and is working to reposition stocks in case routes are cut off, he said. The agency has also begun using the port of Salalah in Oman as a supplementary route, he said. WFP currently has enough grains in Yemen to help 6.4 million people for two months. But Verhoosel warned that distribution across the country was difficult at best, insisting that aid workers need access and guarantees that their neutrality will be respected. "We need an end to the fighting," he said. Yemen's brutal conflict has since 2015 left some 10,000 people dead and has created what the UN has dubbed the world's worst humanitarian crisis.